The highest mountain in the Philippines is Mt. Apo, towering over Southern Mindanao, covering the provinces of Davao del Sur and North Cotabato. At 2,956 MASL, it possesses a formidable array of landscapes, from craggy rockscapes to virgin forests; from mossy swamps to volcanic structures. Indeed, Mt. Apo possesses the widest spectrum of environments, and provides an experience for mountaineers that lives up to their expectations from the country’s highest. The Kidapawan trail, one of many trails, will take you first to Lake Agko. From there, you will have to cross Marbel river in an unforgettable adventure: you have to cross the river several times by walking through coconut logs without anything to hold for support! Even here, lichens cling on the rocks, and very tall trees rise to the sky. The threat of sudden flashfloods, emphasized by the strong flow of water, will remind the intrepid hiker that he not climbing an ordinary mountain. After three hours of river crossing, you would reach the first campsite, at the Mainit Hot Springs. Here, there is a small pool where you could dip; the water is hot and very soothing. You must reach this campsite before 1500hr, because the next campsite is already Lake Venado, 5-6 hours away. Between the two campsites is a thick forest which you have to cross. Here, two ‘killer trails’ are upcoming: the ’87-degree’ and the ’90-degree’ trail. Each taking around 15 minutes, these trails are known to have taken their toll on climbers. As of 2006, ropes are in place in the ‘90’ to make it a little bit safer. After the difficult ascent, the next landscape is the swamp that heralds the proximity of Lake Venado. This is where many Mt. Apo trails intersect. If you will recall, this is the lake which claimed one hiker in March 2007. It is very cold, and also very serene, surrounded by pines on the north, and the peak of Mt. Apo from the south. The peripheral areas can be used for camping. During summer, Bagobo tribesfolk would also camp here and put up stalls. You could choose to camp here, or proceed to the summit. 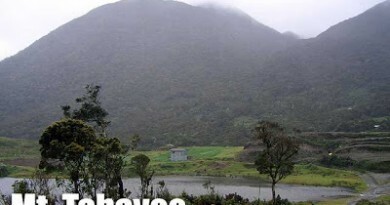 From Lake Venado, the summit is still 3 hours of trekking. This time, the environment changes into a cogon grassland. Then, the otherworldly summit area is reached. It is rocky, with wild berries, and temperate plants. Beneath is the old crater of Mt. Apo. Many Mindanao climbers have fallen in love with the summit. After all, it has a water source, and lots of areas to explore (there are several peaks). Here, you are at the highest point in the Philippines. Going down, since this is an Apo feature on its north face, the Magpet trail is suggested, even though climbers typically do a traverse to the Davao (south) side. The Magpet trail, said to be easiest of all trails to Mt. 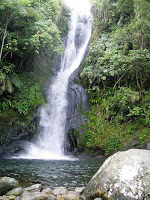 Apo, will take you to what is called the Bobbong campsite, and from there, you will reach a beautiful waterfalls, called the Bongolanon Falls. It appears as if the water curves and bends, before descending. You can swim in the pools beneath, and it is perfect refreshment after a grand Mt. Apo experience! 1700 ETA Lake Venado (2280 MASL). Set up camp. 0800 ETA summit of Mt. Apo. 1200 ETA Bongolanon Falls; Lunch. Mt. Apo, as the highest mountain in the Philippines, attracts a lot of attention from hikers all over the world. 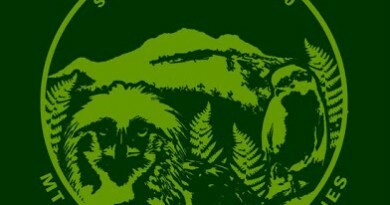 PinoyMountaineer.com can help visitors arrange a trip to Mt. Apo. We can secure hiking permits, English-speaking guides, porters, and even tents and camp foods, as well as design itineraries based on your schedules. 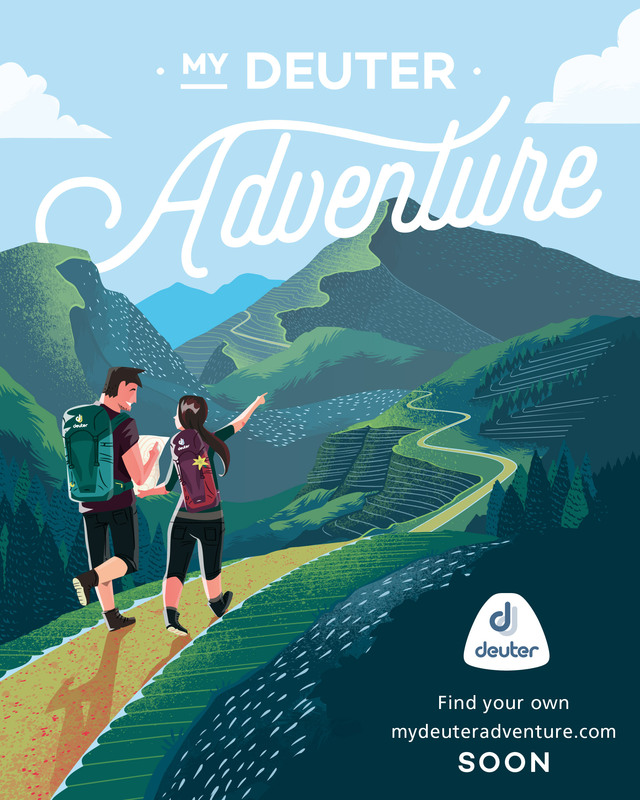 Depending on your specifications, we can contact local guides or even link you with local hiking clubs. A 2-day, 3-day, 4-day, and even a 5-day Apo are also possible, and there are several trails to choose from. Just email info@pinoymountaineer.com for details. The water level in Lake Venado may swell; decreasing the size of the campsite. The weather in Mt. Apo is very unpredictable; strong rains may just come. Rely on local knowledge on whether to pursue river crossings in bad weather. Cellphone signal is present in the summit and partially in Lake Venado; it is sporadic elsewhere. Hikers may go the Kidapawan Tourism Office near the town hall to arrange for a climb. The first two attempts to reach Mt. Apo’s summit ended in failure: that of Jose Oyanguren (1852) and Señor Real (1870). The first recorded successful expedition was led by Don Joaquin Rajal in October 10, 1880. 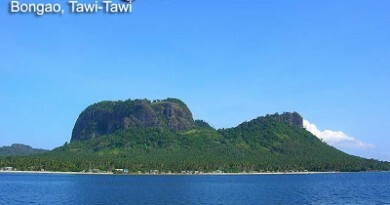 Prior to the climb, Rajal had to secure the permission of the Bagobo chieftain, Datu Manig. The Datu demanded that human sacrifice be made to please to god Mandarangan! Fortunately, he agreed to waive this ‘difficult’ demand, and the climb commenced on October 6, 1880, succeeding five days later. Since then, numerous expeditions followed. These and more are described in colorful narrations by Fr. Miguel Bernad, S.J. 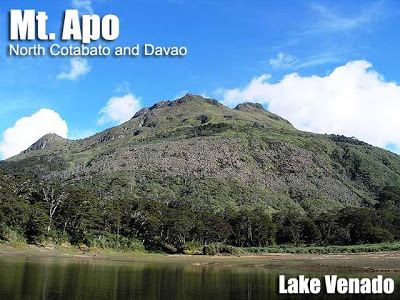 On May 9, 1936, Mount Apo was declared a national park by President Manuel L. Quezon. A total of 227 vertebrates species belonging to 69 families of amphibians, reptiles, birds and mammals have been recorded in Mt. Apo. Likewise, 118 species of butterflies belonging to 69 families are recorded in the area. Of these, the most notable is the Philippine eagle (Pithecophaga jeffreyi). A note on the etymologies: Mt. Apo is said to be named after a nobleman named Apong, who got killed while mediating the battle between two suitors of his daughter Saribu. Another proposed origin of the name is from the word Apo itself, which in Filipino tongues means “master” or “grandfather”. Truly Mt. Apo is the grandfather of Philippine mountains. The blogger, then 19, climbed via the Kidapawan trail on October 2005, just after the re-opening of Mt. Apo. His companions backed out but he proceeded alone, accompanied by two Bagobo tribesmen who served as his porters. Roster of Mt. Apo Sembreak Climb participants – Congratulations! 201 Comments on "Mt. Apo/Kidapawan-Magpet Trail (2,956+)"
Good Day, Mt. Apo Kidapawan Trail (November 28 to 30) Any interested, txt lang po kayo 09197223166. God bless.